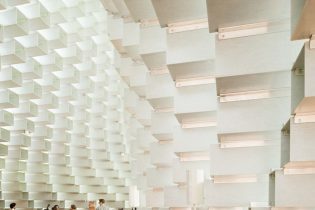 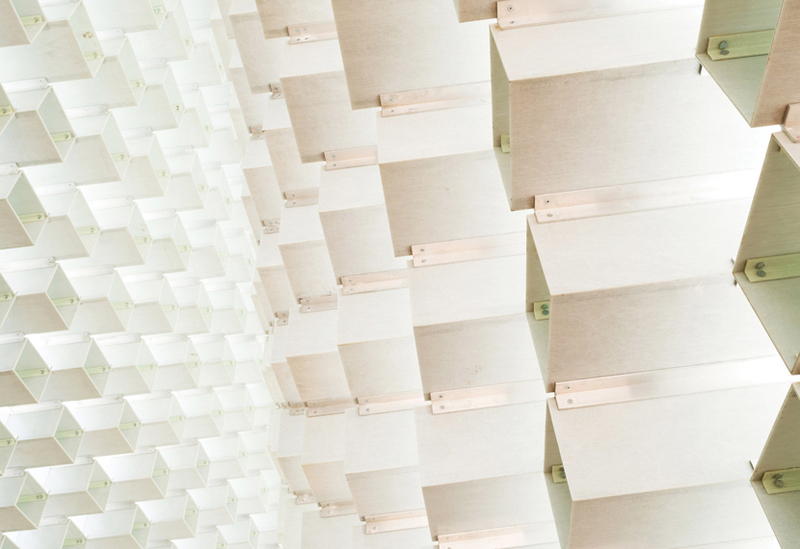 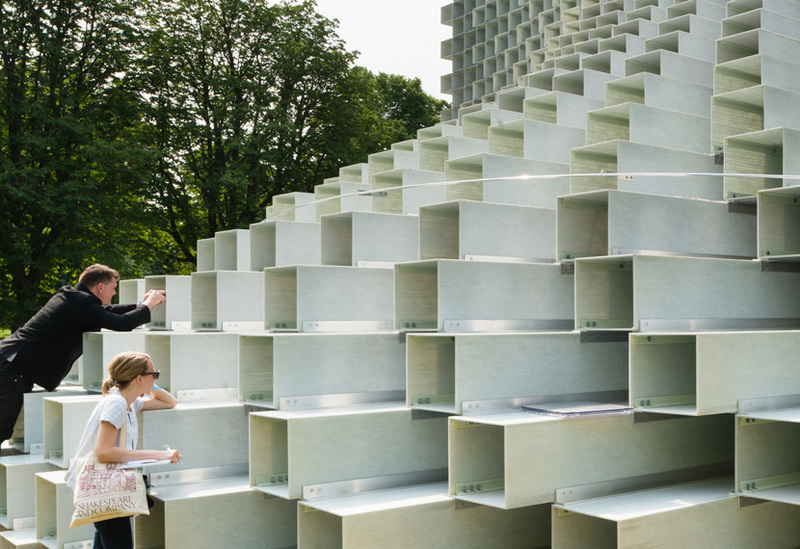 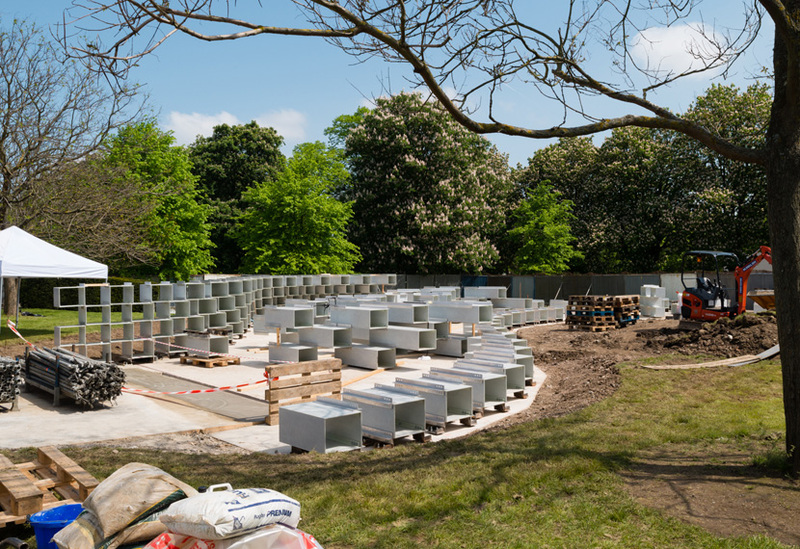 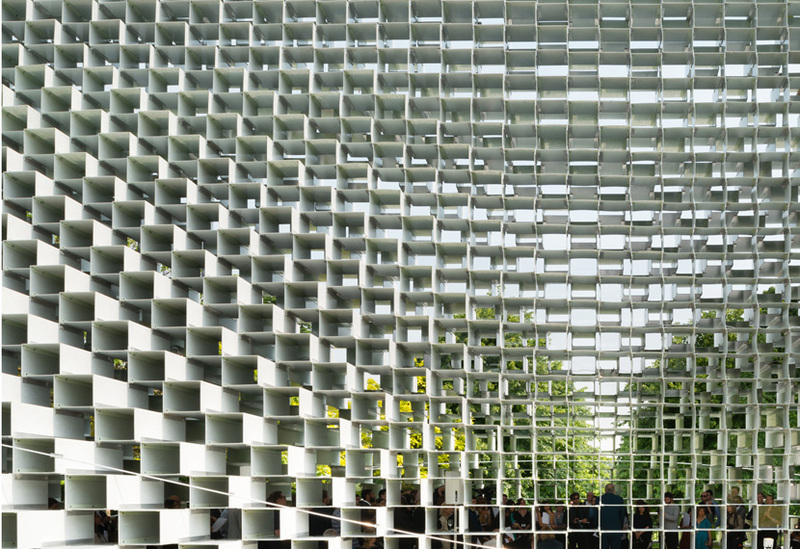 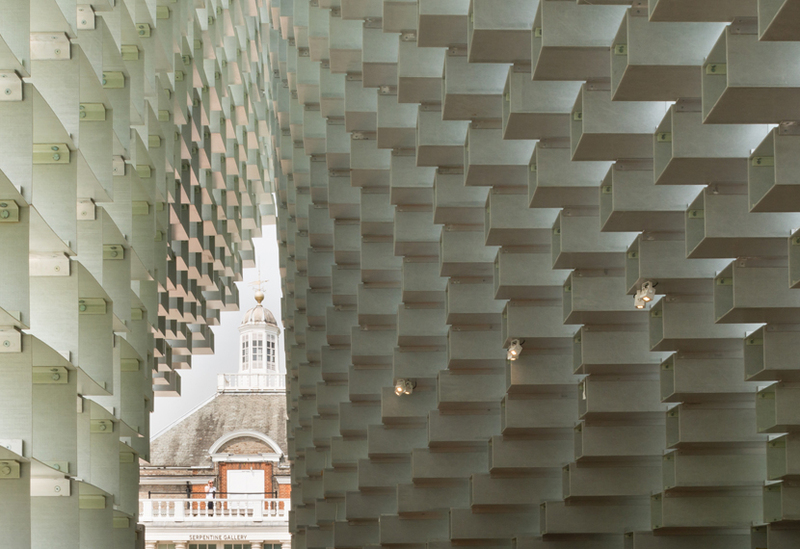 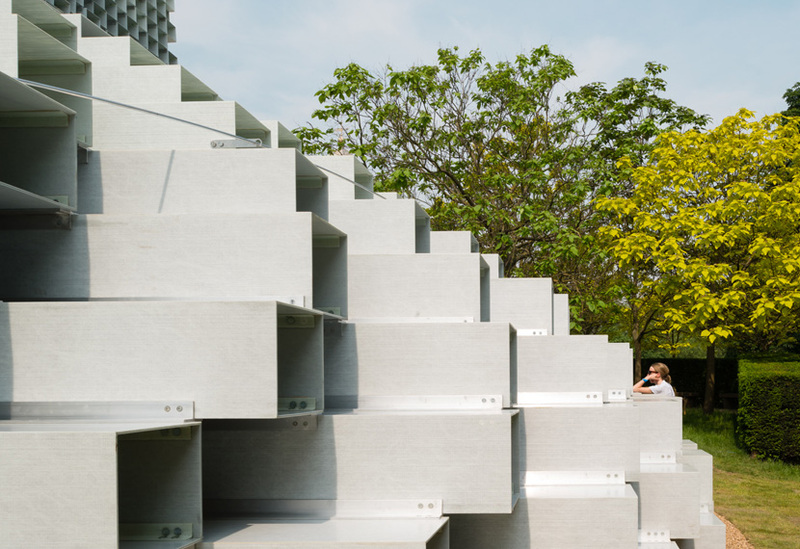 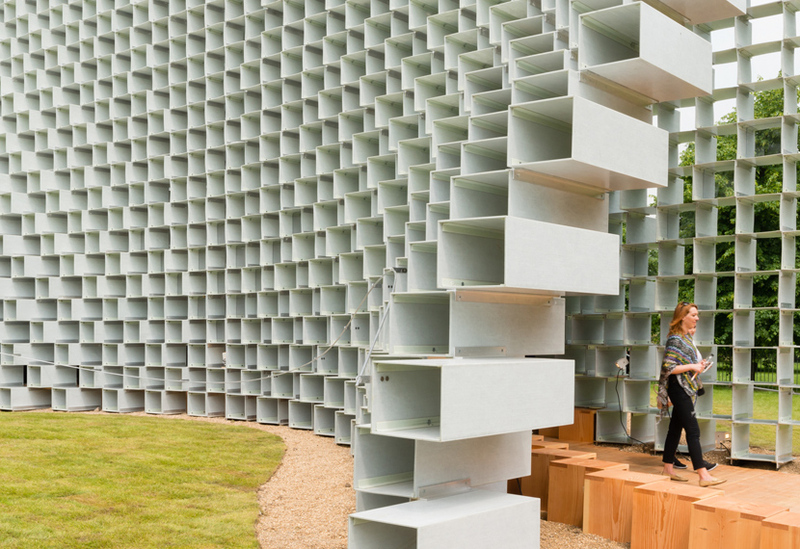 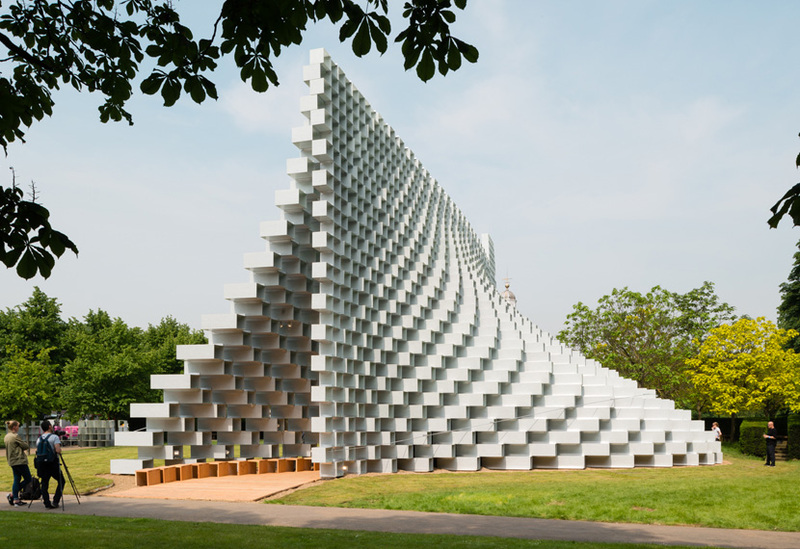 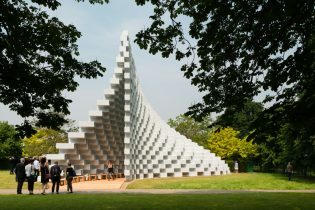 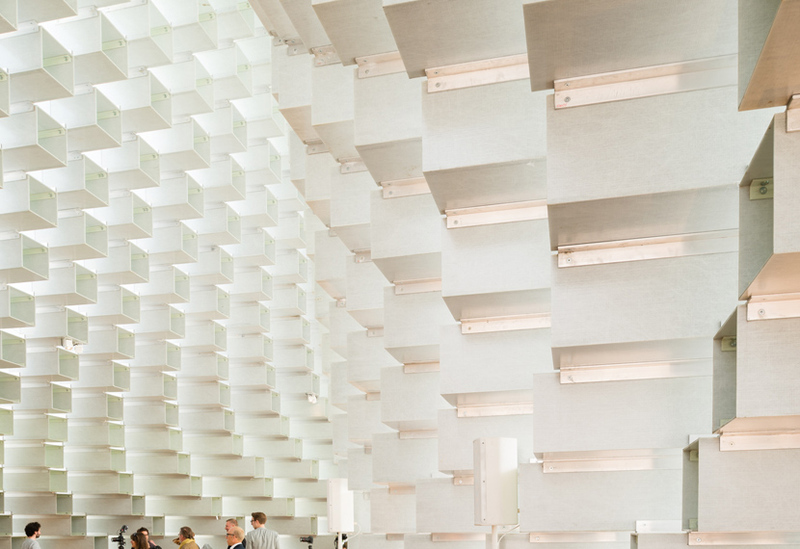 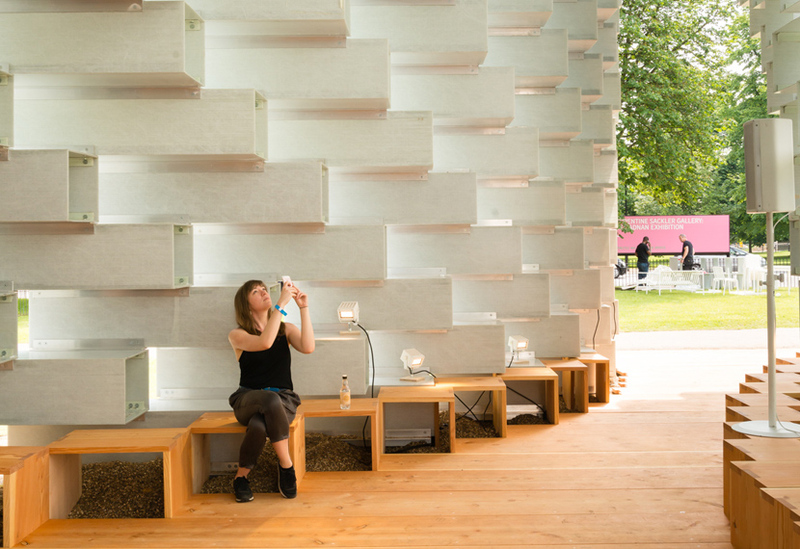 BIG’s 2016 Serpentine Pavilion comprises a 14m high wall of interlocking hollow bricks from Fibreline that peels open into a cavernous and cathedral-like space, appearing solid or ‘barely-there’ depending on your viewpoint. 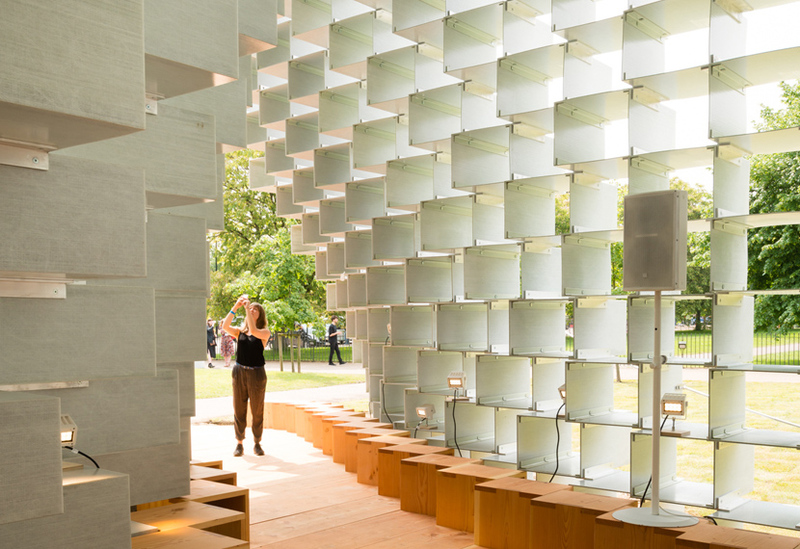 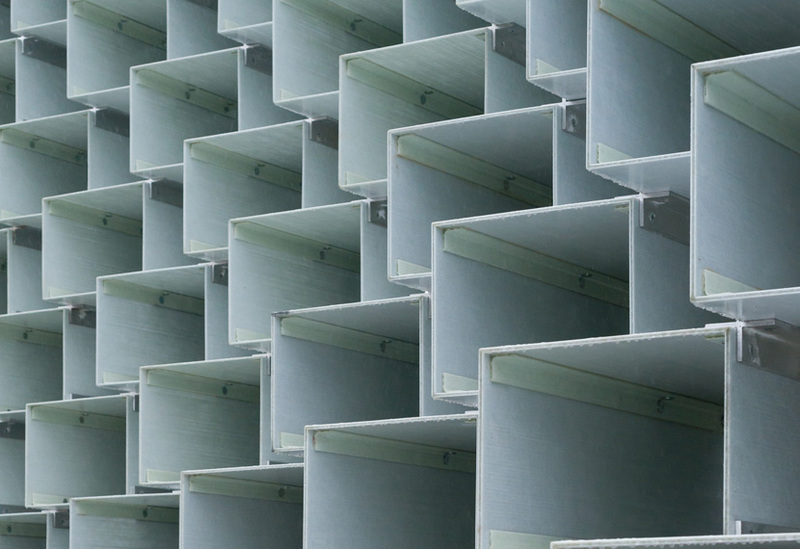 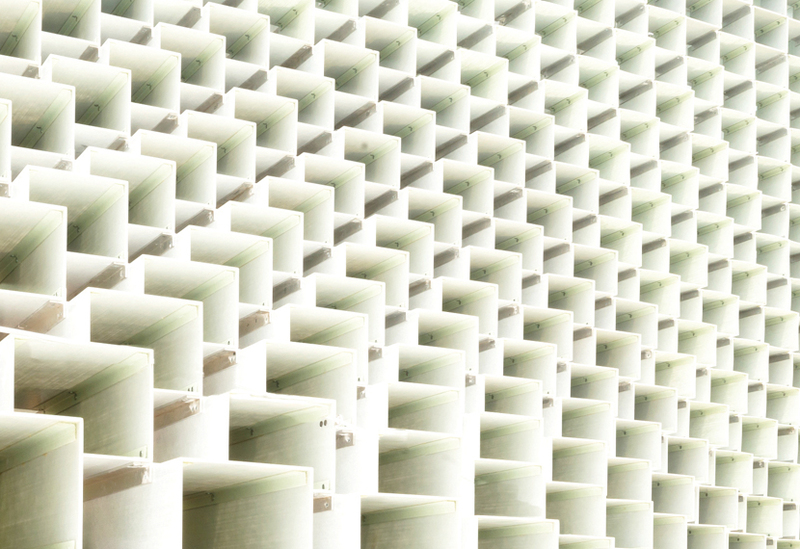 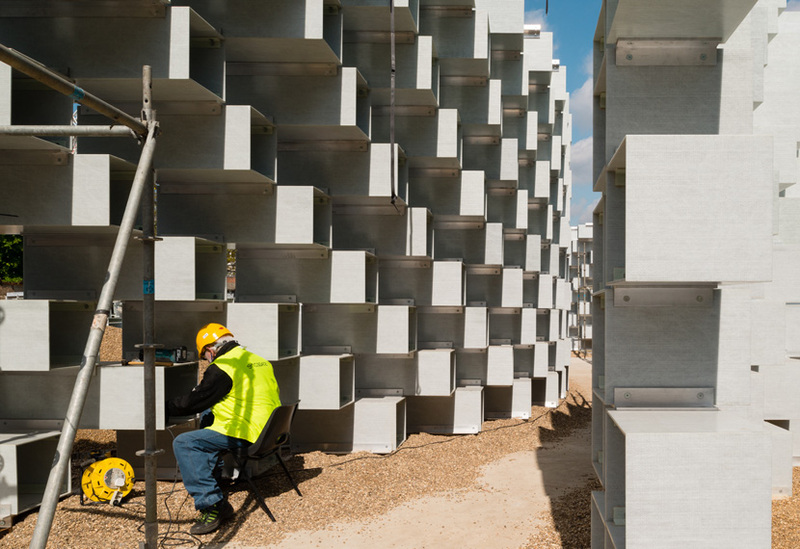 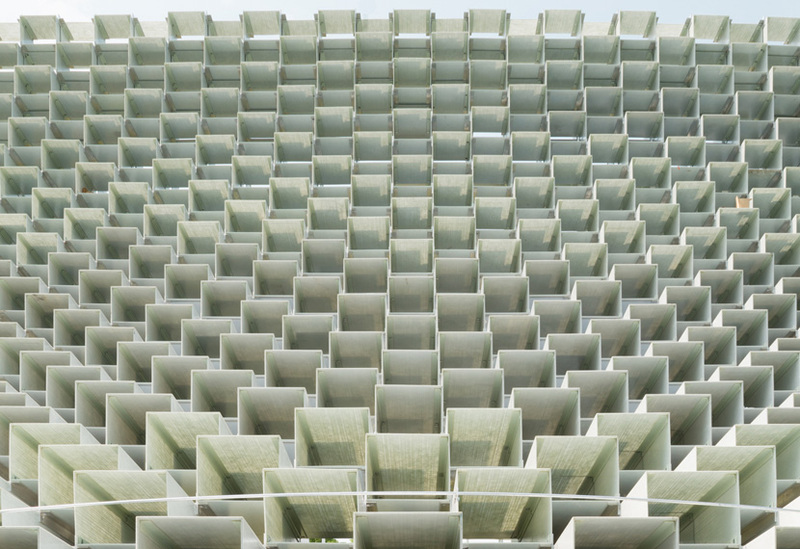 The structure was built using 1900 semi-translucent pultrusion GRP boxes, precisely orientated and stacked to within a 1mm tolerance of the footprint, and which vary in thickness and dimension in accordance to their precise load-bearing location in the wall. 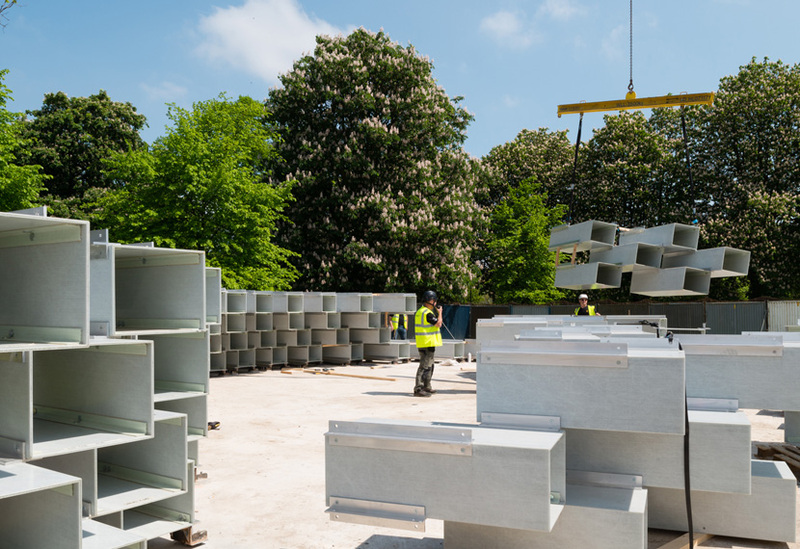 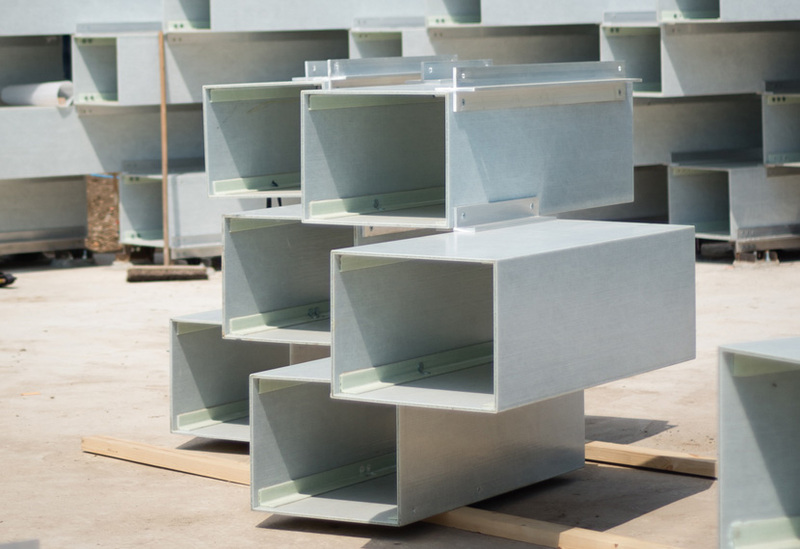 Lengths of specially made aluminium extrusion cruciform and bespoke pig-nosed bolts link the boxes together, creating surprising curves and fluid profiles. 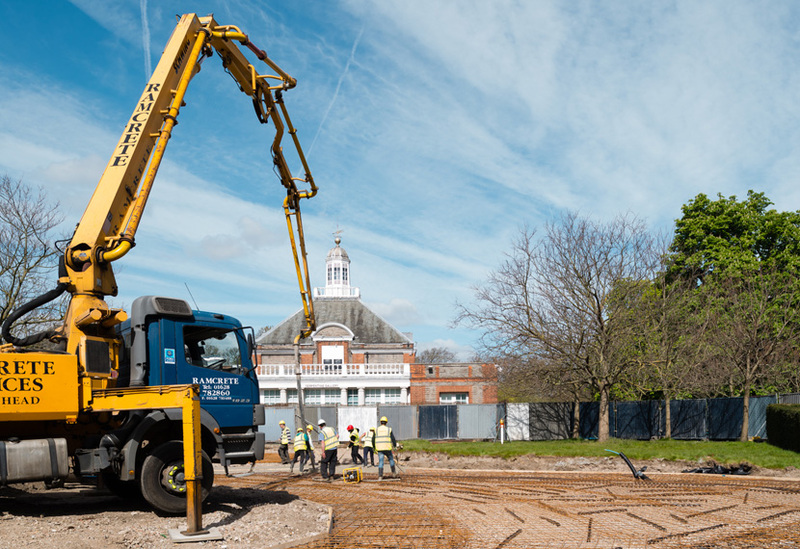 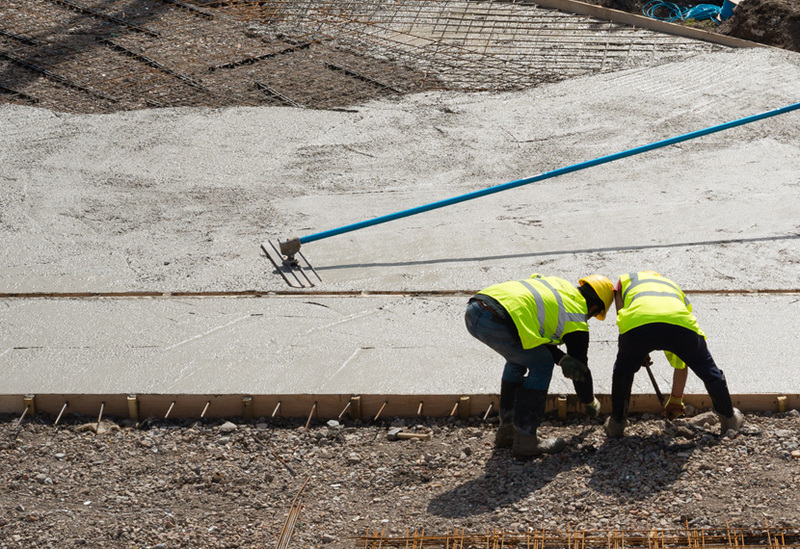 We completed all groundworks, laying the 350sqm slab, also leveled to within a 1mm tolerance. 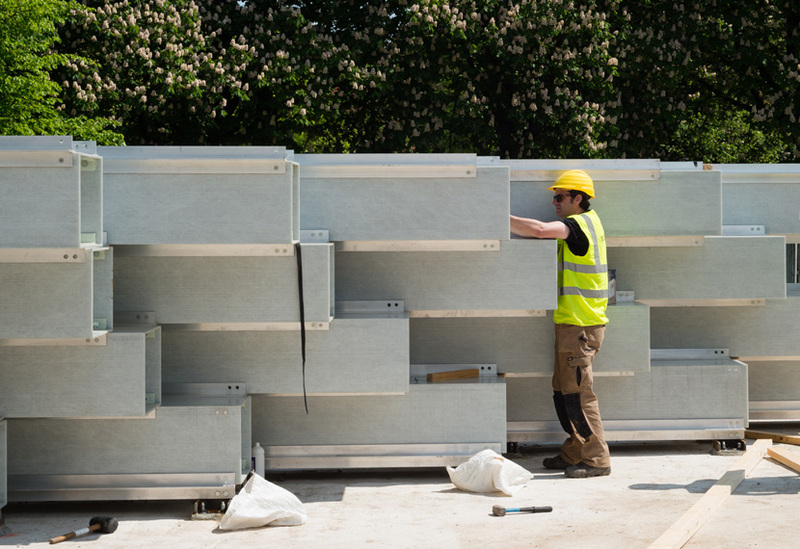 Sections of boxes were then added two layers at a time, the wall eventually ‘zipping up’ seamlessly to form the roof-top fin.